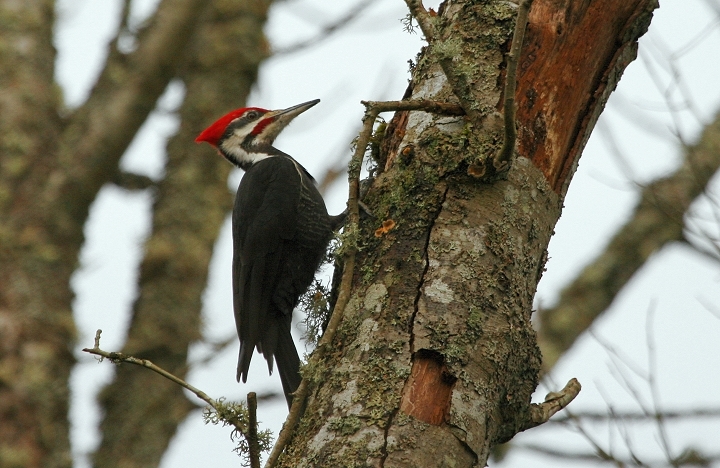 Above and below: Pileated Woodpecker at Nisqually NWR, Washington (1/19/2006). 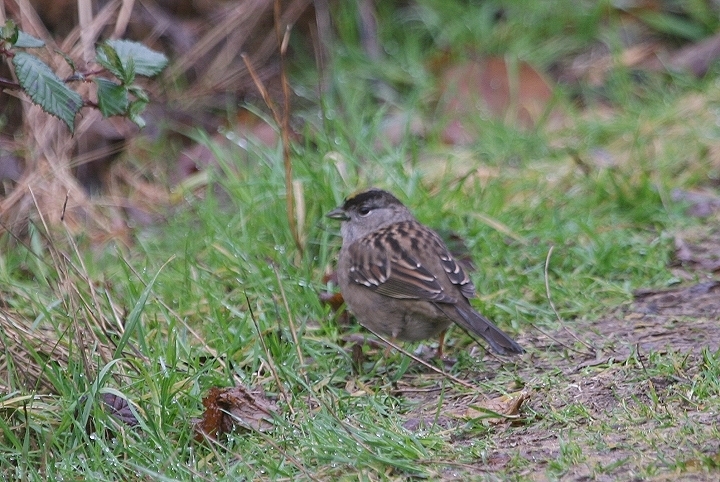 Below: Golden-crowned Sparrow at Nisqually NWR, Washington (1/19/2006). 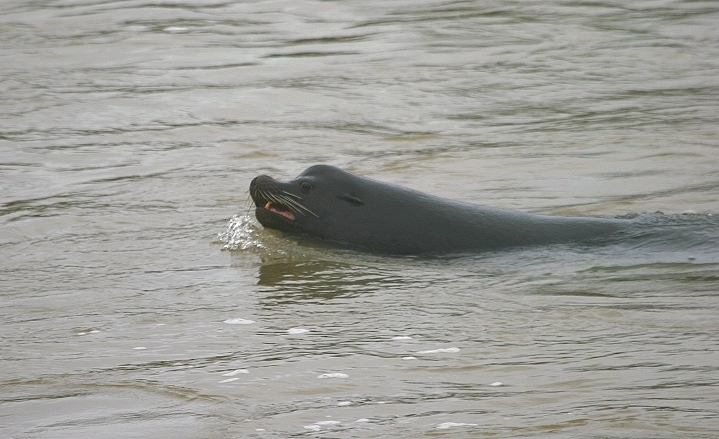 Below: Spotting this California Sea Lion in the Nisqually River was quite a surprise. There was at least one other sea lion present, as well as a Harbor Seal (1/19/2006). 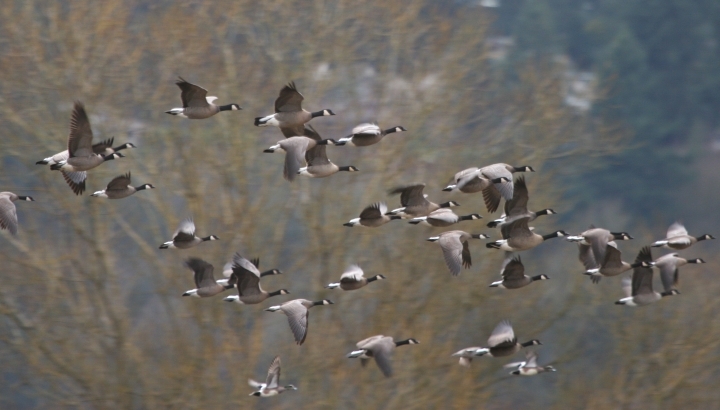 Below: Mixed flock of Canada and Cackling Geese, with two American Wigeon, in flight. Sightings from a 2-hour afternoon walk at Nisqually NWR, Washington: Cackling Geese (minima) (50+), Canada Geese (30+), Mute Swans (2 on Fort Lewis pond), Am. Wigeon (40+), Mallards (10+), Ring-necked Ducks (~12), Bufflehead (~15), Common Goldeneyes (~6), Common Mergansers (2), DC Cormorant (1), GB Herons (3), Green Heron (1; quite a surprise), Bald Eagles (4), Northern Harrier (1), Red-tailed Hawk (1), Am. 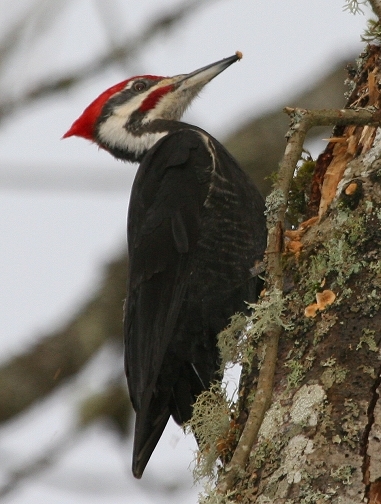 Kestrel (1), Virginia Rail (1), Glaucous-winged Gulls (~30), Rock Pigeons (~20), Belted Kingfisher (1), Hairy Woodpecker (1), Red-shafted Flicker (1), Pileated Woodpecker (1), crows (20+), BC Chickadees (~15), CB Chickadees (3), Brown Creepers (5), BEWICK'S WREN (1), Winter Wrens (2), GC Kinglets (~20), RC Kinglets (~8), Am. Robins (~10), European Starlings (~20), Spotted Towhees (3), Sooty Fox Sparrow (1), Song Sparrows (~10), GC Sparrows (8), Red-winged Blackbirds (~8). Mammals: California Sea Lions (2), Harbor Seal (1), Eastern Gray Squirrels (3).